Professor Raimund Erbel, MD, is the director of the Department of Cardiology in the West-German Heart and Angiology Center Essen at the University Duisburg-Essen, Germany. His particular clinical interest is focused on cardiovascular imaging with computed tomography and magnetic resonance imaging for coronary and aortic disease. He received his medical degree as well as doctoral degree from the University Düsseldorf, Germany. 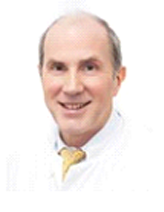 He received clinical training in the Military Hospital Koblenz, at the RWTH Aachen, Germany and as assistant professor since 1983 and associate professor since 1989 at the Johannes Gutenberg University, Mainz, Germany Since 1993 he assumed a full professor position at the West-German Heart Center Essen, Germany. Prof. Erbel has been honored for his clinical research, which has focused on the implications of plaque vulnerability, intravascular ultrasound and computed tomography and coronary intervention. He has published more than 1200 original and review articles in leading journals. He has been invited to present his clinical experience and research at medical symposia and conferences in USA, Europe, and nationally.